New Delhi, February 1: “Due to the proposed rally by farmers traffic from Noida via DND is likely to be affected after 2.00 pm,” Alok Kumar Joint CP, (traffic). The traffic between Delhi and Noida via DND was affected on Friday afternoon due to a proposed rally by a farmers’ group, said officials. “People are advised to use alternate roads via Mayur Vihar and Kalindi Kunj for movement between Noida and Delhi to avoid inconvenience,” it said in an advisory. 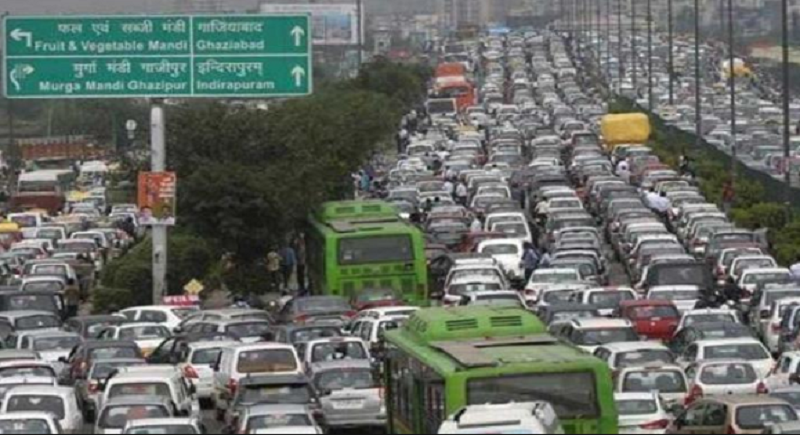 The Delhi Traffic Police have also cautioned the people against using the Delhi-Noida-Direct (DND) route, expecting traffic movement to be impacted around 2.00 pm on Friday due to the rally. In November, farmers from different parts of the country are knocking at the doors of Parliament in Delhi. Led by opposition leaders and activists, nearly one lakh farmers reached Delhi for a march to Parliament. All India Kisan Sangharsh Coordination Committee, an alliance of various farmer bodies, has organised the protest called Kisan Mukti March.